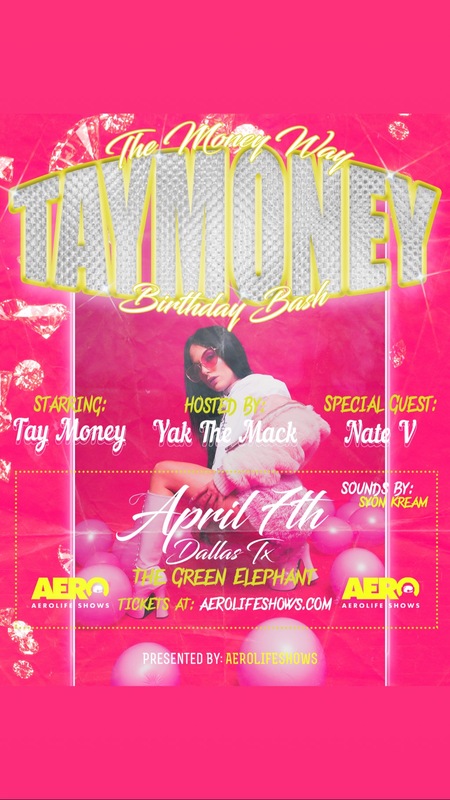 Tay Money celebrating her birthday April 7h at The Green Elephant! The Money Way Birthday Bash! Hosted by Yak The Mack! Text 8179448820 for Performance, Vending, or branding opportunities!